Think it looks fun, but wonder where to start? 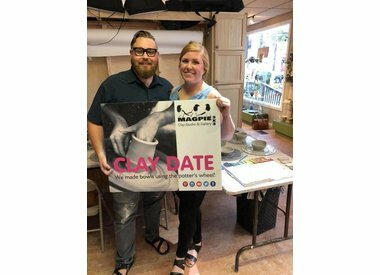 Clay Dates on the Wheel are a fun activity for date night or girls' night out. 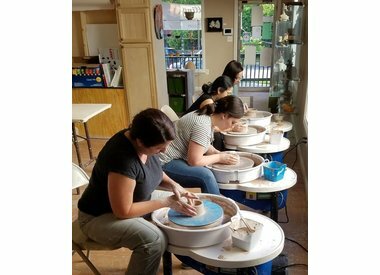 They are also a great opportunity if you are interested in trying out the potter's wheel, but not sure if you are ready to enroll in a class. Beginners are expected and welcome! You will receive instruction on how to use the potter's wheel and make your own clay piece. 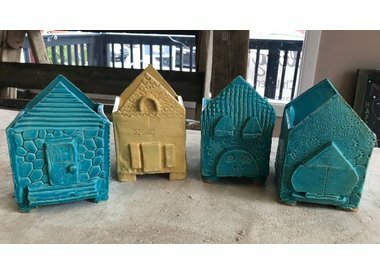 Pick a color and have your creations glazed and fired for an additional $10 each piece. Fired work is ready to pick up within three weeks. Build by Hand Clay Dates allow you to play with clay at the table. Adults and kids (3+) are all welcome to join in on the fun. Building by hand offers more creative outlet than wheel work. Plus, it is especially good for the very young and anyone who finds the wheel too difficult. Projects vary each week offering endless fun. Work is glazed, fired and ready to pick up within three weeks for an additional $10 per project. Clay Parties are available as a way to get your friends, family or colleagues together to celebrate an event or build team morale. 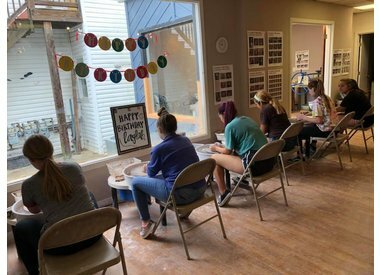 Whether it's for your daughter's 12th birthday, your bachelorette party or your team's holiday gathering, a clay party will give your group an experience to remember. 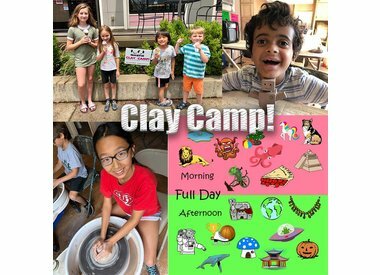 Clay Camp is a fun, immersive experience for children aged 6 - 12. 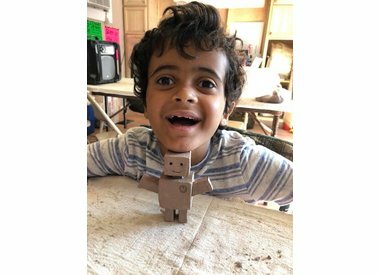 Kids spend fun-filled days working on themed projects using clay. AM, PM and 9 am to 4 pm full-day camps are on selected days and weeks when school is out. No clay experience is required. Classes are for you, if you are interested in learning the complete process of working in ceramics, from soft clay to finished, glazed piece. Class fees cover everything you need to learn ceramics: tools, clay, glaze and firing. Classes are a great way to make friends in a casual social environment. 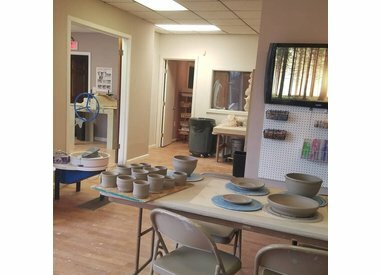 Beginners, intermediate and advanced students are all welcome - you will receive instruction at your level, including wheel throwing and hand building techniques. Private Instruction provides a one-on-one experience for those seeking more flexibility with scheduling, more face time with the instructor and individualized lessons geared towards your specific interest in skill building. Studio Membership is for you if you know your way around the studio and are looking for a space to create your work and practice your skills in the company of other like-minded souls.